Vancouver, British Columbia / TheNewswire / June 12, 2018 - A.I.S. Resources Limited (TSX-V: AIS, OTCQB: AISSF) (the "Company" or "AIS") announces it has completed two -90 degrees dip HQ diameter, diamond drill holes for a total of 757 metres, and 21 trenches with depths of 4-4.5 metres in its Pocitos concessions at its Chiron project in the eastern area of the Pocitos Salar. Economic cut-off values were set at 250ppm and 8:1 for Mg:Li values. All DDH hole and pit samples failed this test. The exploration team decided not to continue with the drilling program and exploration work. The Company decided not to exercise the property option which was extended by the vendor until receipt of assay results. Our QP, Phillip Thomas supervised the drill program, sampling and analysis. Lithium was present in the DDH brine samples taken using a double packer system and were analysed by Alex Stewart Laboratories in Jujuy, Argentina. 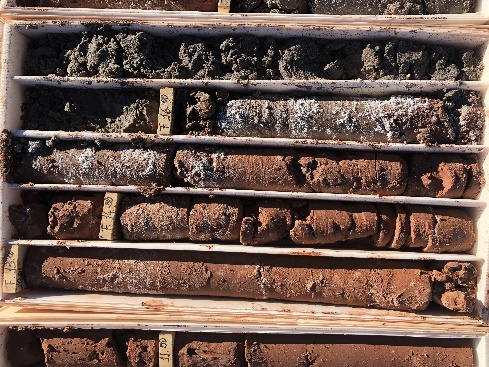 Two core samples have been sent to GeoSystems Analysis Inc in Tucson, Arizona for specific brine yield measurements, porosity and permeability. Our interpretation of the geophysics was accurate with a major aquifer being encountered at 16m within a black sand unit, indicated by a significant drop in resistivity and at depth where a brown clay unit had transitioned into a coarse sandy unit with halite. High resistivity was correlated to solid halite units with almost no porosity. 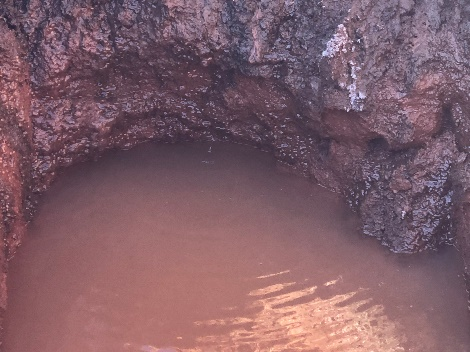 Significant brine flows at very high pressures were encountered at depth in both diamond drill holes with estimated flow rates of 50,000-70,000 litres per minute. In the case of DDH PO2, the brine flowed under its own pressure for approximately 5.25- 5.5 hours. 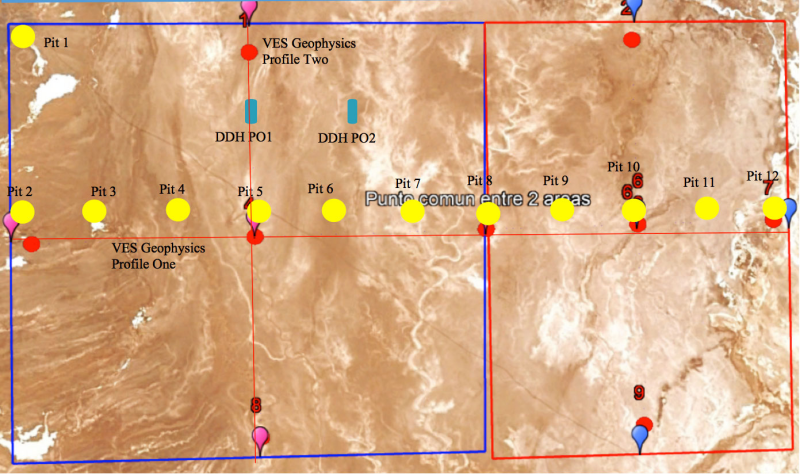 Both drill holes intersected substantial localized aquifers, however sampling downhole using a double packer tool at 50 metre intervals showed that the lithium values were uneconomic and also the magnesium values were extremely high. Economic cut-off values were set at 250ppm and 8:1 for Mg:Li values. The geohydrological work on the surface showed that the lithium values in some of the pits with low Na values increased substantially in Lithium and Sodium values over a 7 day period suggesting that surface water drained through the shallow brown sandy clay and black sand unit that had higher porosity due to the sand content, and more lithium rich brines flowed in that had been trapped in the higher density lower clay units. The brine density differential wasn't measured but the low Na and Li values suggest these surface brines were lower density. Pit 16 and 19 was sampled within 12 hours of being dug and then again in 7 days. 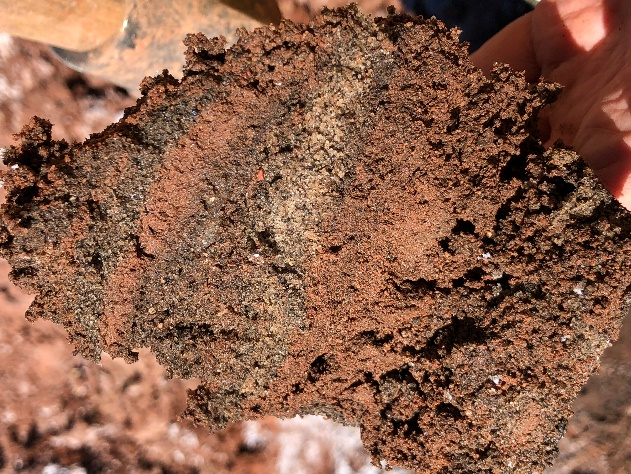 The black sand unit that occurred about three metres below the surface predominately in the central salar area showed substantial porosity and transmissitivity. 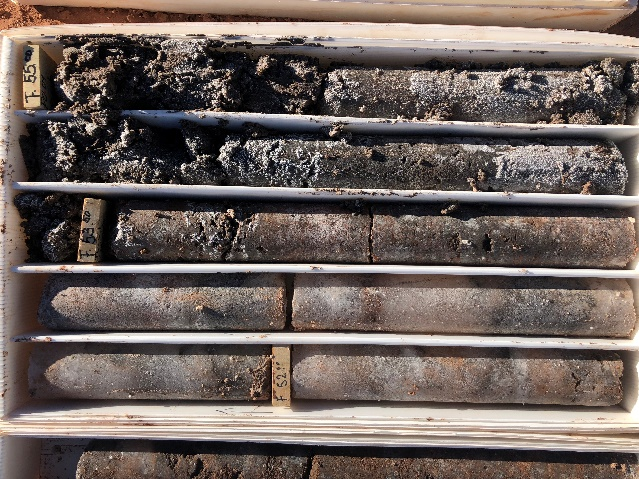 In DDH 1, 10 metres of black sand core was lost from the drill rod below the 16 metre interval confirming substantial brine presence, but it was low in lithium concentration. The Pocitos Salar was subjected to substantial rainfalls during December to March 2018 and this impacted surface brine concentration. The highest lithium pit value was 179ppm in Pit 10 on the eastern most edge of Pocitos 2. No evaporation studies were undertaken but anecdotal evidence suggests that 3-5cm of water had evaporated over the 30 day drill period. The geological model adapted from the geophysics survey suggests that brine concentrates to the eastern edge but is stratified by less porous halite and clay units. A cemented aggregate sand sequence was intersected above the brine aquifer at 320-325m in DDH1. Other explorers have confirmed this model in that brines sampled in the west had little or no lithium. We took the view that considering the lithology, deeper drilling had a low probability of intersecting higher lithium grades. Alex Stewart International Argentina SA completed the sample analysis using an ICP diagnostic machine. Three samples were submitted in a group of six, and every 10 in 20 for quality control. The variance was 2.5% or less in the lithium analysis, which reflected the variance in brine sampling. ICP machine variance accuracy was 0.05%. Each bottle was rinsed in brine. A sampling tool was used to ensure that minimum disturbance was created and the clay sediments were not disturbed. A sample was taken and the cap put on the 1 litre bottles with no air present. The temperature was taken and recorded that was approximately 6.5?C. The bootle was labelled PO1 or PO2 and then sealed with tape. The QP checked the labelling and recorded it and the site geologist took all the samples to Alex Stewart Laboratories. They sent a confirmation of the date, time and labels of the samples that were received and that they were still sealed. The company has received the date for its UGAMP (La Unidad de Gestion Ambiental Minera Provincial) meeting slated for July 2nd, 2018. The proposed meeting is for the ratification of our proposed drilling and exploration program at Guayatayoc. The process involves community consultation with government and representatives of AIS. Once the meeting is complete, a 30 day period for consultation is required, during which time AIS may be requested to provide further information of its planned work program. If no objections are made, the permit will be issued. Phillip Thomas, BSc Geol, MBusM, MAIG, MAIMVA, (CMV), a Qualified Person as defined under NI-43-101 regulations, has reviewed the technical information that forms the basis of this news release, and has approved the disclosure herein. Mr. Thomas is not independent of the Company as he is an officer and shareholder. A.I.S. Resources Ltd. is a TSX-V listed investment issuer, was established in 1967 and is managed by experienced, highly qualified professionals, who have a long track record of success in lithium exploration, production and capital markets. Through their extensive business and scientific networks, they identify and develop early-stage projects worldwide, that have strong potential for growth with the objective of providing significant returns for shareholders. The Company's current activities are focused exclusively on the exploration and development of lithium brine projects in northern Argentina.